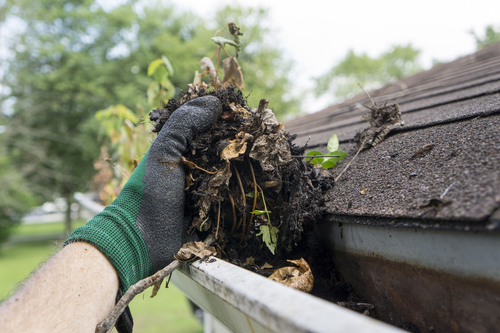 It is generally recognized that you should clean your gutters at least once a year and preferably twice a year, spring and fall. You might think we want you to clean your gutters twice a year so we make more money. But gutter cleaning isn't expensive and we don't make that much money on it. There are other reasons discussed below. The cost of gutter cleaning is not very high. It helps keep our crew busy in between gutter repair jobs and gutter installation jobs. But, we couldn't stay in business on gutter cleaning alone. 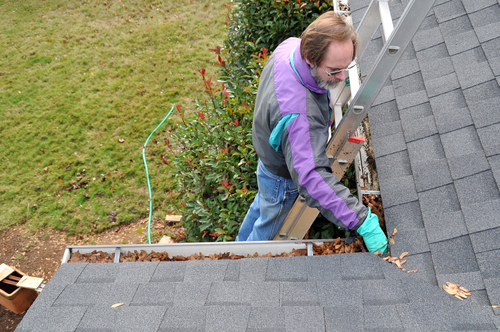 The benefit you get from the low price of a gutter cleaning is basically a free inspection. That is besides the obvious benefit of clean gutters the move water properly so no damage is done to your house. It is always easier and much less expensive to fix problems early and so if we see something, we will let you know. In fact, we will fix some small problems as we clean for no extra charge. We are looking for a long term relationship. We have many customers where we automatically schedule a cleaning each spring and fall. If any repairs are needed we would hope to have earned your trust to do the job and in some cases do full gutter replacements. We figure if we are doing a good job and giving value for our work, it is more likely that you would give us referrals, which are greatly appreciated. Blowing leaves and pine needles can clog a downspout or a gutter. We have also found dead birds, squirrels, baseballs, you name it. It then doesn't take long for the gutter to clog up further and the water going where it shouldn't. It is not uncommon for plants to start growing which compounds the problem. It adds more weight and the roots can create further damage. Water going to the house side of the gutter can rot out the fascia board which is what the gutter is hung on and supports it. If that rots, you need to take the gutters down and replace the board and then reinstall the gutters. Not a cheap job. Another problem is that water running down the side of the house can cause streaking and make the siding of the house look unsightly. A bigger problem than cosmetic streaking is water infiltration. That could be somewhere down the side of the house or more likely the basement. The water is falling to the ground by the house and pooling which can lead to wet basements or possibly even foundation problems. 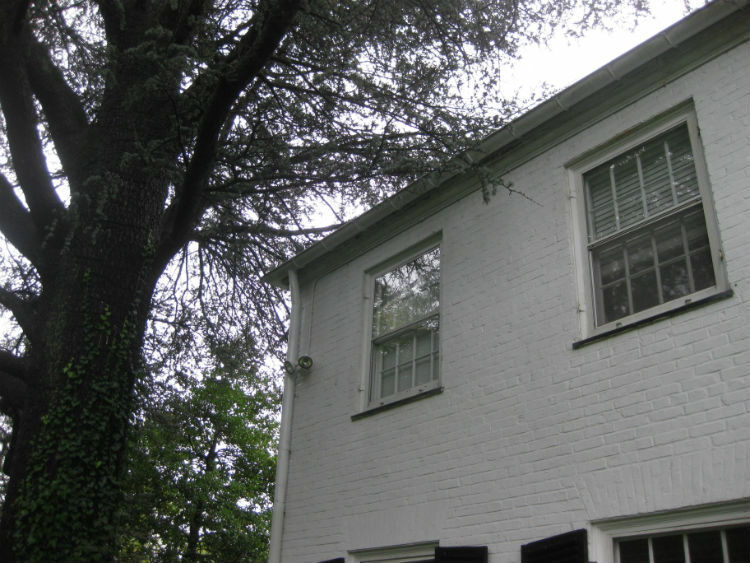 The gutters and downspouts are designed to shunt water away from the house to prevent this. So why take a chance on any of this when for a low gutter cleaning price you can prevent the cost of these more expensive problems.